A group of top Occupational and Physical Therapy bloggers have joined together to do a series about Functional Skills For Kids. 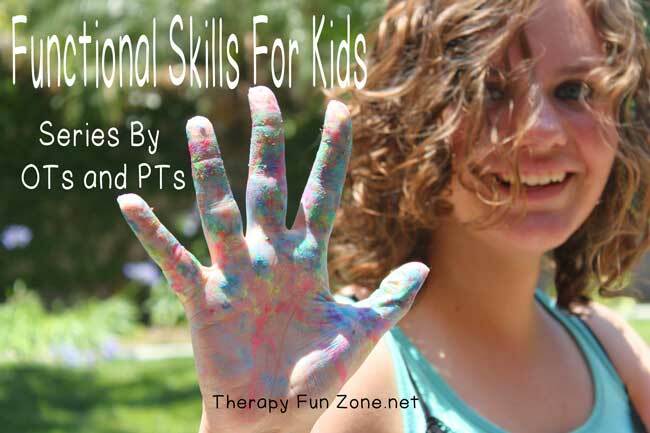 This is a year long series where we will discuss 12 different functional skills of childhood, and each therapy blog will share a different aspect of the functional skill of the month. Each month will focus on a different skill, ranging from play to self care. 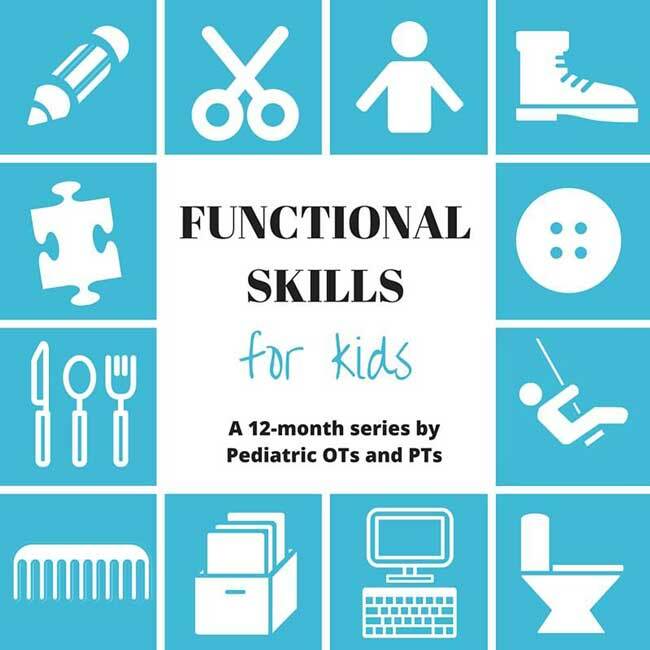 Learn more about childhood functional skills with pediatric Occupational and Physical Therapists. This year long series is for parents, teachers, therapists, and anyone who is interested in learning more about the tasks that children participate with in childhood. During the series, each function will be broken down into development of the skill, fine motor considerations, gross motor considerations, sensory considerations, visual perceptual considerations, accommodations and modifications, creative ways to work on problem areas, and more. Meet the Occupational Therapists and Physical Therapists on the Functional Skills For Kids team. Follow each therapist and their blog to keep up with the whole series as it happens. Our first post where we dissect a skill of childhood goes live on January 20th. Be sure to stop back then so you can see all of the links related to our first topic. This page will be updated each month so that you can see all of the articles related to each function that are posted each month.